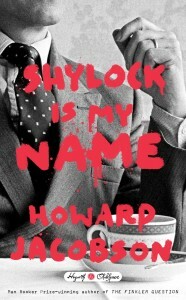 Howard Jacobson’s Shylock Is My Name is the second installment of Hogarth Shakespeare’s series of plays retold by contemporary authors and provides the series with an already well-needed expansion. Jacobson proves that one can work unchained from one’s source material and create something unique while remaining true its original themes. It may be unfair to compare Shylock Is My Name to Jeanette Winterson’s The Gap of Time (Hogarth Shakespeare’s first release), as Jacobson and Winterson are remarkably different authors, but it’s curious to observe how both approach the task of retelling such canonical plays. Winterson works, understandably, with a sort of plot-and-characters matrix, updating each character, and event, theme with a present-day counterpart. Shylock Is My Name, alternatively, is not so much a “cover version” as a re-imagining and personalization of the Shakespeare. It manages to be both iconic of its author and a constructive, informed reading on the material from which it was built. It is a strange experiment but a polished and accomplished one. The curtain opens on two Jewish men, sitting on a bench in a graveyard. One man, Simon Strulovitch, is visiting his mother’s grave and trying to clear his head of the various distractions of fatherhood and professionalism. He’s a patron of the arts and cultural philanthropist, and he’s raising his teenage daughter alone after an accident rendered his wife immobile and unresponsive. Next to him sits a man named Shylock. This Shylock is the very same Shylock from The Merchant of Venice (it’s a name, like Adolf, that will never be severed from its history), but Jacobson quickly thwarts any cuteness that this sort of anachronistic crossover could present. The men begin talking about the Jewish experience, history, and The Bard’s play and it grows uncomfortably apparent that Shylock maintains some present-day relevance even centuries after his caricature was originally put to the page. As their discourse progresses, “Strulovitch [feels] the surge of dark forgotten powers.” Their plots overlay and Strulovitch begins to act as Shylock would with regards to his teenage daughter’s new relationship with a football star. In The Merchant of Venice, a transaction is coordinated by Shylock, who requests a “pound of flesh” for his side of a bargain. Strulovitch, in Jacobson’s twist, demands that his daughter’s boyfriend convert to Judaism, focusing in particular on the physical sacrifice such an act would involve. Shylock Is My Name approaches a strange singularity as Jacobson stages this crass (but still somehow quite scholarly) reading of The Merchant of Venice. The novel culminates with a fifth act that pulls all of Jacobson’s characters together for final monologues and denouement. To get to this finale, Jacobson slips into a kind of Shakespearean logic that allows his characters to be led blindly by conviction, passion and authorial convenience (a side character, D’Anton, is particularly unbelievable). All this would not work in a proper novel, but it’s palatable here. “Can you tell me how,” Strulovitch asks Shylock, late in the novel, “we have proceeded from metaphor to literalism?” A particularly apt question that Jacobson seems to have built his entire novel from: has Shylock been realized in our collective contemporary subconscious? Or has he been with us all along? If cliché has become character, perhaps it was more universal, and not so metaphorical, after all.